Slovenian insurance company Zavarovalnica Triglav, set up in 1990, is the controlling company of Triglav Group. Triglav Group posted a consolidated net profit of 69.9 million euro in 2013, down 5.0% from a year earlier. The group’s total written premiums dropped 4.0% to 900.9 million euro in 2013. The combined ratio of the Triglav Group was 91%. The group, listed on the Ljubljana Stock Exchange, is active in Slovenia, Croatia, Bosnia and Herzegovina, Serbia, Montenegro, Macedonia and in the Czech Republic, employing a total of 5,350. What were the underlying trends that shaped the development of the Slovenian insurance market in 2013? The insurance business in Slovenia in 2013 was affected by difficult economic conditions. The economic instability, corporate bankruptcies, a rising unemployment rate, illiquidity and the deteriorating purchasing capacity of the local population dampened demand for insurance products. On this backdrop, the insurance companies operating in Slovenia in 2013 collected 3.7% less in insurance premiums than in 2012 and less than 2.0 billion euro for the first time since 2007. The main reason for this is the lower number of life insurance policies that were sold. Insurance premiums last year amounted to just 5.6% of the country’s gross domestic product, the lowest in the last five years. On average, a Slovenian citizen spent 960 euro on insurance, which is 39 euro less than in 2012. How did Triglav perform against the backdrop of this market environment in Slovenia last year? In 2013, Triglav continued the implementation of its development strategy, focusing on its main insurance business, on its profitability and on ensuring safe business operations. In these tough economic and market conditions, Triglav Group managed to achieve a net profit of 69.9 million euro. By prudently handling business and financial risks, we also managed to retain a high level of financial stability. The ongoing economic crisis continued to be reflected in the decline in collected insurance premiums, which were 6.0% lower than in 2012 and failed to reach the planned goals. The diminishing purchasing capacity of the population resulted in a lower level of insurance and both trends were accompanied by a growing unemployment rate, a decrease in the activities of business entities and in the demand for certain products and an extremely intense competition. What market conditions did Triglav face on its markets abroad in 2013? The insurance business in the region of Southeast Europe (SEE) faced many challenges in 2013 such as a slowdown in economic activity, rising unemployment, a decrease in purchasing capacity and political instability in some areas. All this led to weaker demand for insurance products. In Slovenia and Croatia, the economic crisis continued and other countries in SEE experienced only minor spurts of economic growth. However, the business of our subsidiary companies is stabilising. The Croatian market was also affected by the complete liberalisation of the insurance market, which has a significant effect on the terms of business of all the insurance companies operating on this market. Despite the challenging environment, Triglav Group performed well in this region and rein-forced its main activity, which can be seen in the growth of the insurance premiums that were achieved in Montenegro, Croatia, the Czech Republic, Bosnia’s Serb Republic and Serbia. The group posted a drop in insurance premiums in Bosnia’s Muslim-Croat Federation and in Macedonia, which reflects our strategic policy of maximising value instead of the insurance premium. What is your view on the challenges facing the insurance industry in SEE over the medium term? Each of the eight markets we are present on has its own characteristics. The biggest challenges are the diversity of the markets, the different habits of the consumers, different legislative and regulatory frameworks and country-specific risks. We believe that the legislation and regulation on all markets will eventually be harmonised with the standards of the European Union, which will make business a lot easier for players active on more than one market. We believe that a stable and predictable legislative and regulatory environment is a key requirement in order to be able to count on conducting stable and profitable business operations on a particular market. Equally challenging are changing consumer habits. The goal is for consumers to view the purchase of insurance coverage not as an unnecessary expense, but as a payment that guarantees the insured parties that their assets will retain their value and will enable a decent life in the event of accidents or other unforeseeable events. Where do you see growth opportunities in the region over the medium term, both in terms of specific markets and in terms of product categories? The Triglav Group’s insurance markets in the region are relatively underdeveloped. In the structure of the insurance premium in the region, motor third party liability insurance still dominates premium income. In general, I can say that in the medium term the segment of life insurance in Slovenia has greater potential, whereas in the wider Adriatic region, there is more untapped potential on the non-life segments. I believe that the markets where the Triglav Group operates are definitely among the more promising ones in terms of the future development of the insurance premiums. At the same time, the profitability of these markets is an important challenge, since market players expect a significant growth in the future and their business models are adapted to their expectations and not to the current conditions. Do you see room for consolidation on the insurance market in SEE? Of course, I see this part of Europe as an opportunity for the development of the insurance business and the economy in general. These markets are still fragmented, and furthermore, the growth of the insurance market and the new regulatory requirements will demand a scope of business that some insurance companies will not be able to achieve easily by themselves. 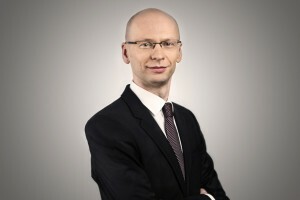 The Triglav Group will monitor the opportunities on individual insurance markets in the region and will, apart from the opportunity for organic growth, also consider growth through acquisitions and through the development of partnerships with relevant insurance firms and financial companies with complementary operations. In this region, we see the Croatian and Serbian insurance markets as having a lot of potential because of their sheer size and the two countries’ potential for development. On both of these markets, the Triglav Group is already present and we intend to additionally strengthen our position in accordance with our strategy.